It’s Annual General Meeting time again! 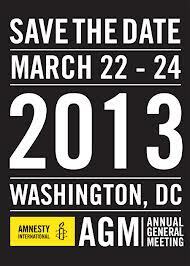 This year’s Amnesty International conference will be held at The Hyatt Regency Bethesda near Washington, D.C. from Friday, March 22nd to Sunday, March 24th (note that the location has switched from the American University School of Law)! This year’s conference theme is Use Your Power, emphasizing how individuals can use their power to effect change in the world. Our chapter is planning on attending, so if you’d like to come with us or meet us there, then register today! Spaces are limited this year, so register early. We don’t yet have a full agenda for the conference (we will post it once we know) but this year’s AGM is still going to be an exciting one. 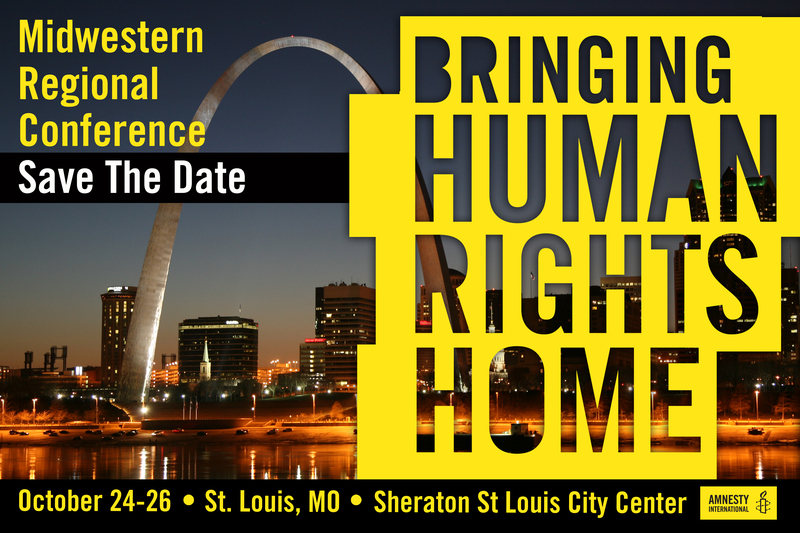 Don’t miss out on an amazing lineup of human rights defenders, organizers, and change makers during our conference sessions which address crucial human rights issues — such as discrimination against women as drivers of the MENA uprisings, the disappearance of trans-migrants in Mexico, the barriers preventing LGBT persons to access justice in Sub-Saharan Africa, and the role of the U.S. government in protecting human rights at home and abroad. Congressman Jim McGovern, filmmaker Carlos Lascano, performer Luis Saldana and band members of Sins of the Loose Buttons are among our confirmed guests. You’ll also be given the opportunity to Use Your Power during a rally action for the Arm’s Trade Treaty, so if you haven’t been to an Amnesty conference before, or even in a while, this one is a must-attend. The AGM is one of the biggest events of the year for the chapter and for the organization, so make sure to register today or to let us know your interest in attending. Hope to see you there!